In a masonry (brick) fireplace, firebrick may be used to construct the firebox. Refractory brick panels line the firebox of a prefabricated metal fireplace. In both cases, the bricks and fireclay mortar are designed to withstand extreme temperatures. However, over time, the brick, mortar, or panels can crack or crumble, creating a potentially serious fire hazard in your home! If a brick in a masonry fireplace cracks, it needs to get patched. 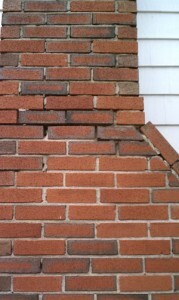 If the brick is crumbling, you can have it replaced with a new firebrick embedded in refractory mortar. 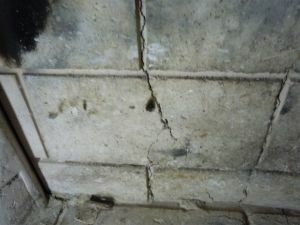 If the mortar joints around your firebox are crumbling, try chiseling out the old mortar and replace it with new mortar. This process (tuckpointing), is the same one you follow to replace or repair mortar joints in any brick structure. The only difference is that in a firebox, you must use refractory mortar, which is specially designed to withstand extreme temperatures/heat. If the integrity of a good portion of the firebrick and mortar in the firebox is in question, have a qualified (CSIA Certified) chimney sweep or masonry contractor inspect it. If replacement is needed, the job is best left to a professional. If a panel of a prefab metal fireplace develops serious cracks or is starting to crumble, you should replace it with a new panel. This is a job that most do-it-yourselfers may be able to handle: Simply remove the old panel by unscrewing the screws that hold it in place and put in the new panel. It should fit snugly /tight against the adjoining panels. When replacing a rear/back panel, remove the side panels first. Refractory mortar is not generally needed, because the corners are designed to fit snugly against one another. To make the job of finding a replacement panel easy, you may write down the fireplace make and model number. (You can find these numbers on a metal plate just inside the opening of the firebox.) This way, you can ensure the new one matches the space correctly and safely.